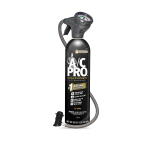 Home / Products / ACP-100V | A/C Pro® Ultra Synthetic R-134a A/C Recharge Kit, 20 oz. 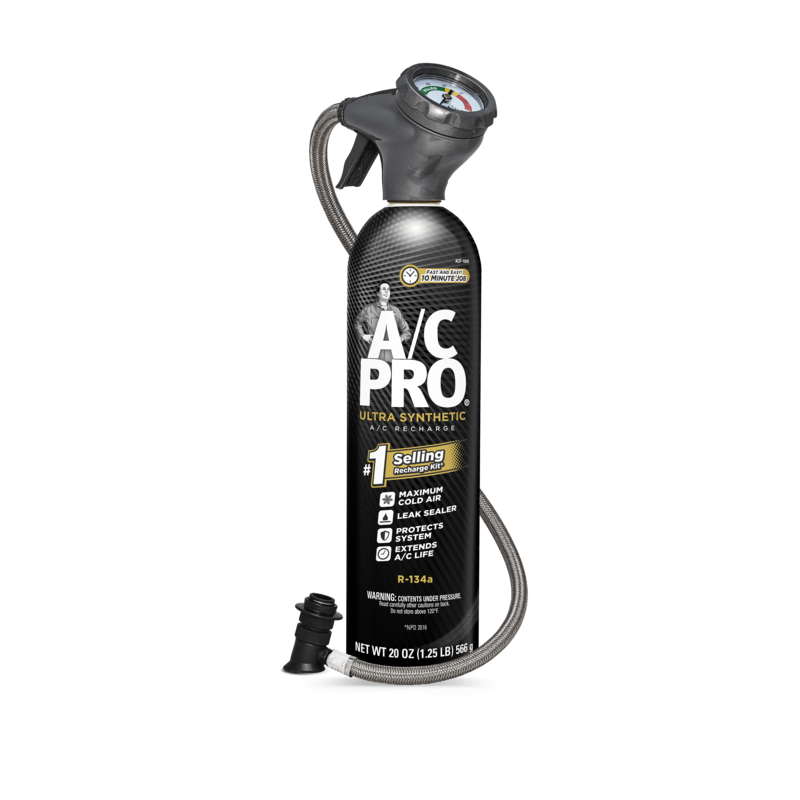 A/C Pro® ultra synthetic refrigerant kit features a specially designed formula that helps a vehicle’s A/C produce the coldest air. The approximately 17 oz. 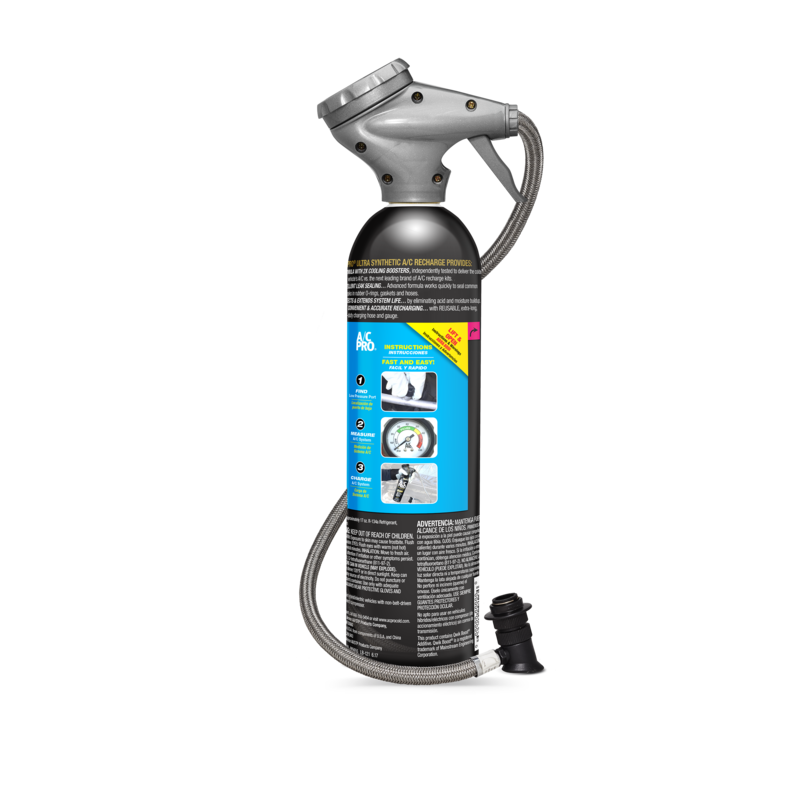 of R-134a and 3 oz. 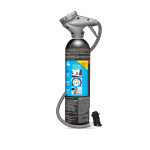 of additives are used to recharge a vehicle’s A/C system, seal common leaks in the rubber components, and protect and extend the A/C system’s life by eliminating acid and moisture buildup.This #1 selling A/C recharge kit (according to NPD 2016) comes with a reusable extra-long braided charging hose and gauge.